Kids are going to have fun practicing the word family “in” with this free printable board game for kids from Kindergarten, 1st grade and 2nd grade kids. 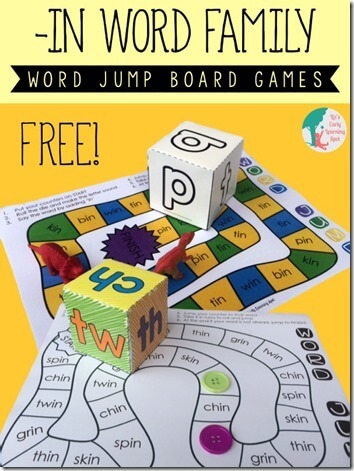 At least “in” word family words are fun when you practice with this free printable board game. Grab this fun hands on learning game – IN word family game from Liz’s Early Learning Spot.